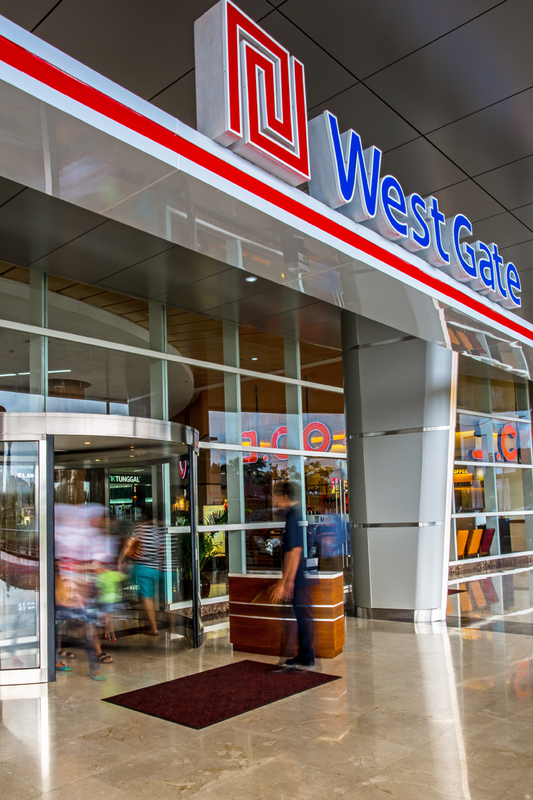 DDG led the way in designing the Bintaro Xchange signage and graphics, a 9,682,847-square-foot mixed-use destination in Jakarta, Indonesia by creating a compelling brand vision via innovative graphic design. 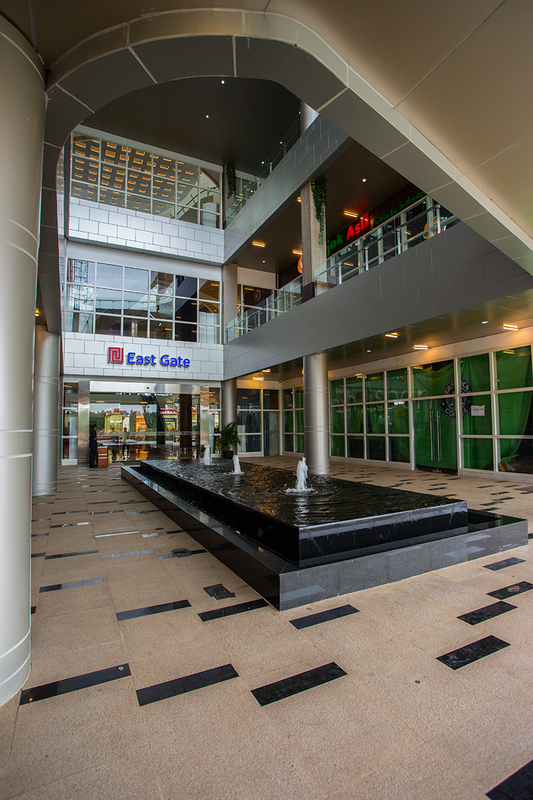 The design inspiration for Bintaro was derived from the center’s name, which translates to passage of water through an environment of ice and canyon rock. 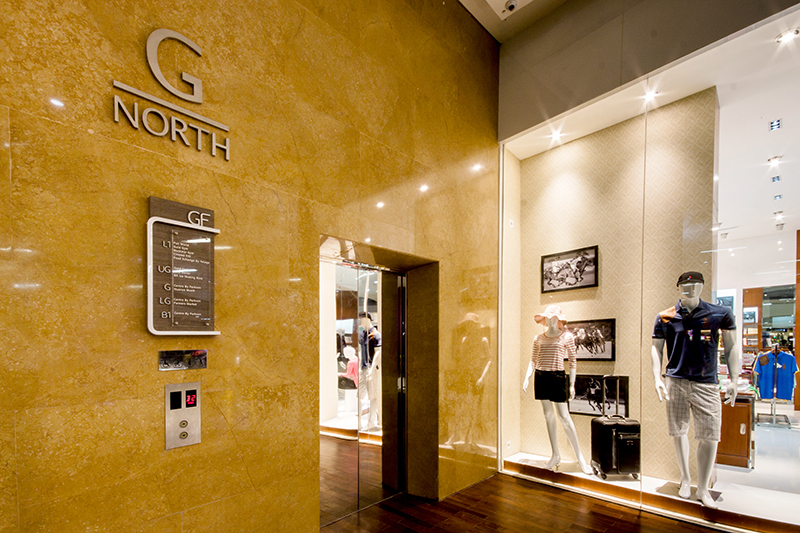 Directional signage is rigorously consistent, beginning with a striking onsite pylon on which DDG displayed the client’s brand logo. 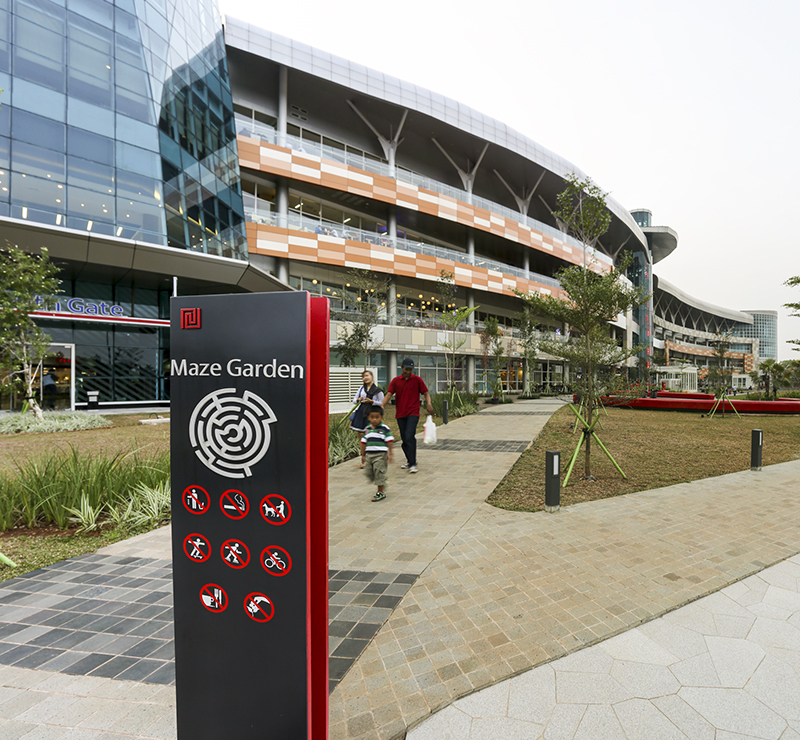 The signage concept integrates metal panels with applied dimensional elements that creatively divide the wayfinding information for fast decision-making for visitors. 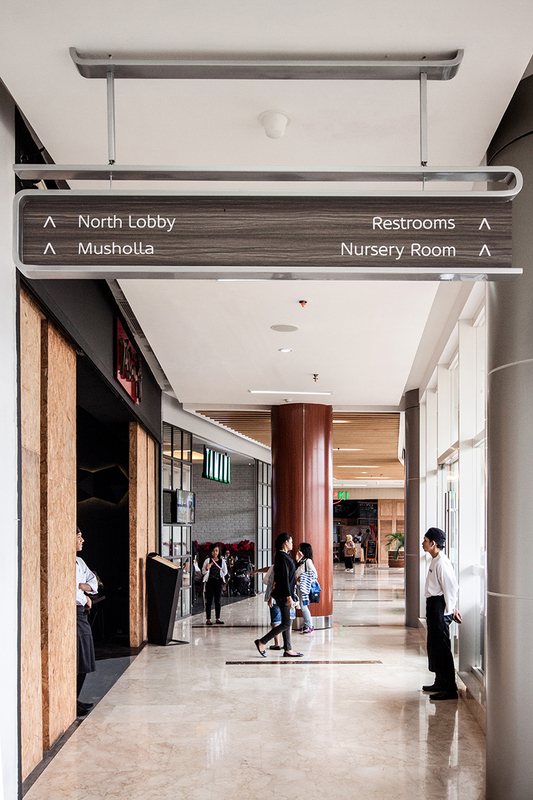 While directional site signage is contemporary and neutral for the entire development, each mall within the overall center has its own identity. 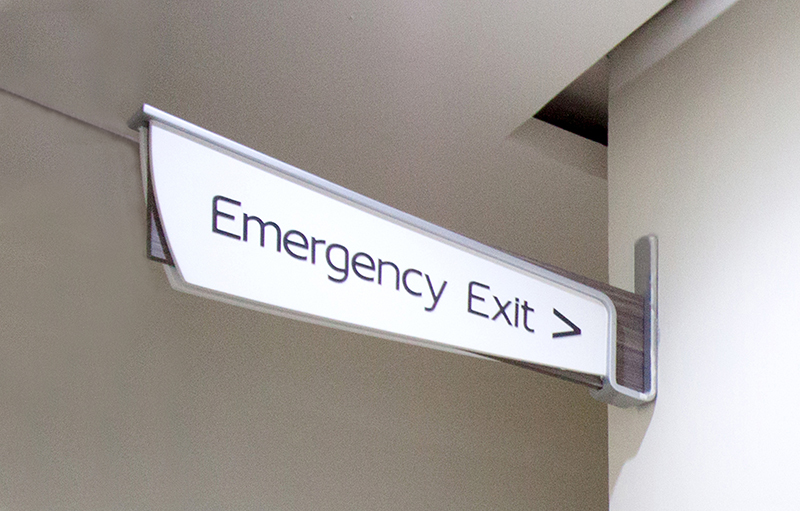 All signage operates like a fixture — noticeable when needed, otherwise blending in to the environment. 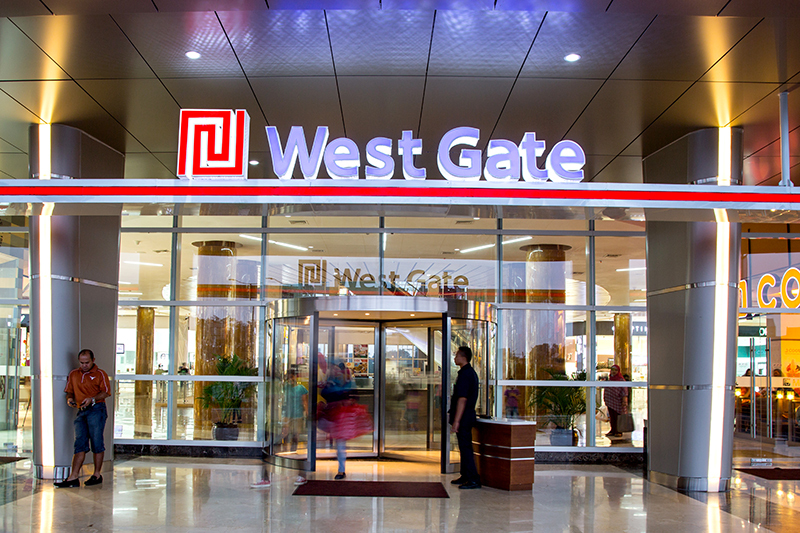 The graphic design package was developed alongside the architectural design, allowing for opportunities to visually enhance entryways and integrate wayfinding into architectural components. 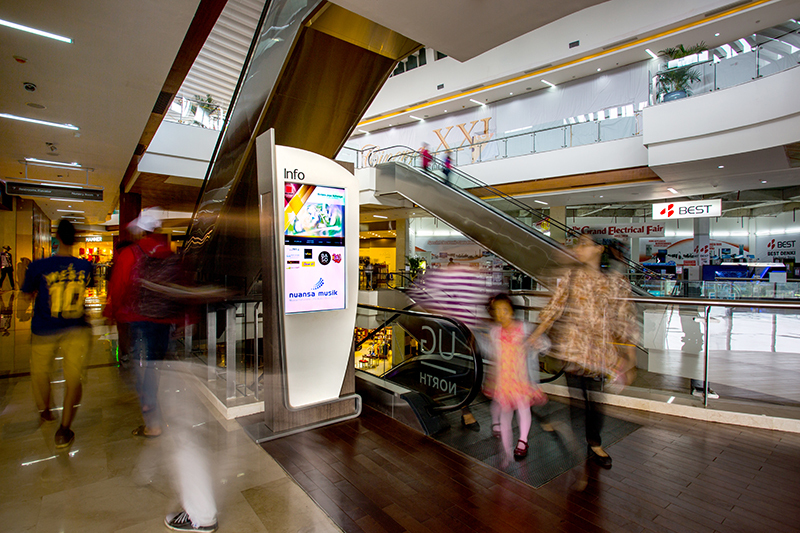 The Bintaro Jaya Xchange Graphics heavily utilize linear pattern elements. This is clearly evident in the retail parcel where the large west facade canopy and the anchoring structure both incorporate strong parallel lines. 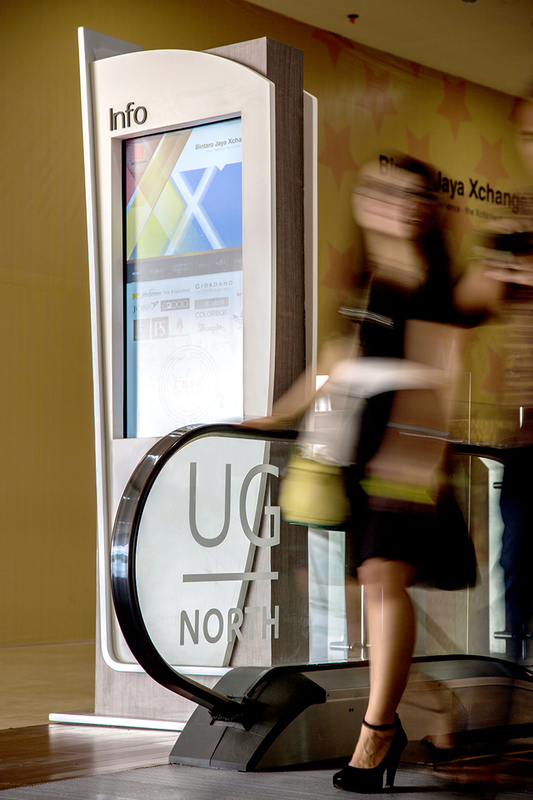 To tie-in this portion of the project with retail, the logo was treated with a similar parallel linear language. 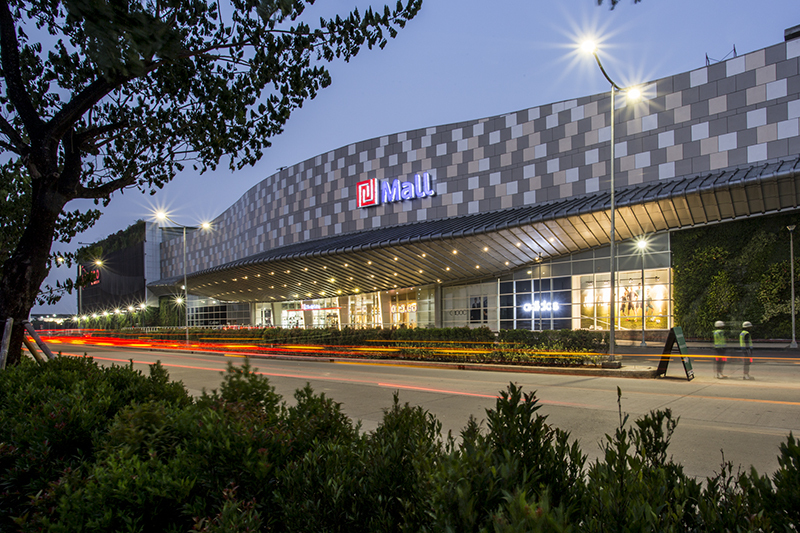 Populating the face of the larger building identities with programmable LEDs adds another level of dynamism, these treatments bestow the identities with a more playful and exciting appearance. The glass graphics on the east facade are also dynamic, during the day the digitally printed vinyl graphics are a neutral white detail. 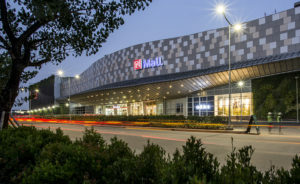 Adversely at night they transform into beacons, coming to life with color provided by led light strips and flood lighting hidden within the framework of the structures.